The Marbella Corfu Resort complex is situated in an olive grove on the magnificent beach of Aghios Ioannis, 16 km. south of Corfu Town and 15 km. from the international airport. The complex comprises two main buildings and 3 cluster buildings, built in attractive Mediterranean architectural style. 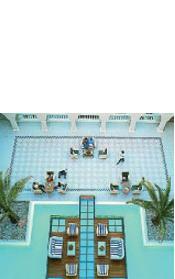 The hotel overlooks the graceful Corfiot coastline and lush subtropical gardens. Suites, superior rooms, family rooms and standard rooms are available. All rooms have a balcony or terrace with sea view/partial sea view/garden view, air-conditioning, bath or shower with hairdryer, satellite TV, radio, direct-dial telephone, mini bar and safety deposit box. Rooms in the main building have king-size beds. Rooms in the cluster buildings have sea view and balcony or private garden. Family rooms have two bedrooms and bathroom / WC. The La Terrazza main restaurant offers a gastronomic buffet with show cooking for breakfast and dinner, while the Cascade restaurant prepares sophisticated Greek and international specialities. In addition, there is an a la carte restaurant and the ever-popular Beach Grill. Guests can choose from the Belvedere lobby bar, the Pool bar and the Beach bar. Other amenities include spa, beauty saloon, car rental, laundry service, banking facilities and shops. Regular excursions are organised to various sites of interest. Sun worshippers will appreciate the beautiful beach with sand, small pebbles and olive trees. Naturally, umbrellas and sun-beds are available. In addition, the hotel has 3 large outdoor sea-water swimming pool and 2 children's pool. Sports facilities include three floodlit tennis courts, water-skiing, scuba diving and parachuting on request, beach volley, fitness, aerobics and an Aqua Gym. There are also dance lessons, shuffle board, and table tennis. A qualified animation team organises special events and evening shows (skits, musicals, concerts, games) at the open-air theatre, while guests can regularly enjoy live music, folklore shows and Theme evenings. Special programmes are prepared for our younger guests (5-12), who also have their own play area. The Marbella Corfu has six fully-equipped conference halls with a seating capacity of 550, 360 and 260.